Dota 2 can be a challenging game for beginners as the number of heroes exceeds one hundred. It is not easy to choose a suitable hero at the very beginning because each of them is exciting and interesting. The choice of the right hero or a team of heroes is a key to winning or at least doing your best at this point of expertize to become a winner. That is why when you start playing Dota 2, lack of guidance can lead to multiple challenges. Every hero has its own role in the struggle. There are heroes that can put on several roles on themselves within one game. To achieve heights in Dota 2 you need to be aware of the main roles of the heroes and their interaction. Each of them is provided with a number of skills, so you need to learn how to take advantage of them and the items they possess. Any information offered below may seem confusing at the beginning, but be sure to understand everything intuitively when you start playing. We also had to pave our way in the game to learn all the secrets and today, we are happy to help young players to start the game with a powerful character. There are several most important roles in the game to play: carry, support, jungle, and solo. One more important aspect to consider is the choice of a hero’s ability - a so-called talent that will help him to move through the game better. This ability can be a key to success for both beginners and experienced gamers. In general, there are 3 basic attributes that govern certain hero’s aspects: HP means strength, mana stands for intelligence, and attack speed is a synonym to agility. Every hero has a primary dominating attribute, and it is very important to boost each of the attributes to increase the damage output of the hero. It can be achieved by means of purchasing certain items. Look through the heroes that are more suitable for playing as a beginner, learn their abilities and items that will help you to make the hero more powerful. 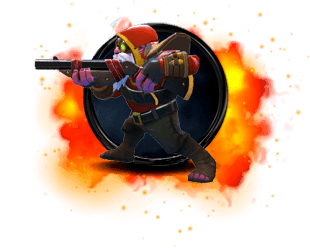 Dota2 Sniper is a number one choice for new players as it can damage the enemy severely from a quite long distance. 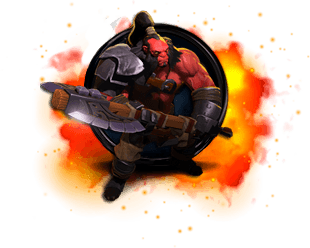 Despite a not big number of primary skills, it is possible to improve his damage if you purchase several important Dota 2 items and improve the existing skills. Shrapnel is a ball that allows showering the area in explosions, damage, and slow enemies. Headshot is required to increase Sniper’s accuracy. It allows dealing additional damage and stopping enemies for a short period of time. Take Aim will be useful for extending the attack range while Assassinate will help in far away attacks: it locks on the enemy you want to kill and makes a powerful shot in two seconds. Make your Sniper the deadliest hero by purchasing several powerful items too. Get a Dragon Lance to improve your attack, while Butterfly will make both your agility and attack terrifying for enemies. Suggested Items: Power Treads, Black King Bar, Mask of Madness, Blink Dagger, Heart of Tarrasque. Being one of the heroes who do lots of damage Sven has a number of skills that make it outstanding to beginners. Storm Hammer is great for dealing damage and stunning enemy groups. You can easily stun the toughest enemy at the beginning of the fight or run away safe and sound if you are not strong enough to win. Great Cleave is a unique skill with a knock-on effect to damage a group of the enemies with one attack. It is also important to take advantage of Warcry as it increases both a movement speed and armor not only of the hero but also his allies. Activate your team’s superpower for 8 seconds to win the battle fast and with less damage. However, don’t forget to level up such skill as God’s Strength! Your damage can grow up to 200% for 25 seconds, so your enemy will be defeated in 2 or 3 hits only. Get several important items and Sven will become almost unbeatable. Power Treads will boost his strength, Black King Bar will make him invulnerable to different magic attacks, while Mask of Madness will revive your health by 15% each time you will apply severe damage to your enemy and improve your attack characteristics. Suggested Items: Power Treads, Shadow Blade, Dragon Lance, Manta Style, Monkey King Bar, Hurricane Pike, Butterfly, Black King Bar, Heart of Tarrasque. Do you want to get the best ganker in the game? Choose Viper with his unmatched ability to take damage from the enemy and give it to himself. Every battle he starts will make the enemy beat till death as Viper get stronger with every damage he deals. It is achieved thanks to Nethertoxin. When units lose health during the fight, Viper restores 20% of his health getting deadlier after every new fight. Poison Attack is a super skill for boosting normal attack and slowing down enemies’ movement and attack, especially if you chase them. One more great skill of Viper is Corrosive skin that allows exuding a toxic infection that results in damaging enemies and making them slower within a 1400 radius. You will also become unbeatable for enemy heroes thanks to this skill too. Viper Strike is extremely useful in fights in combination with Poison Attack. 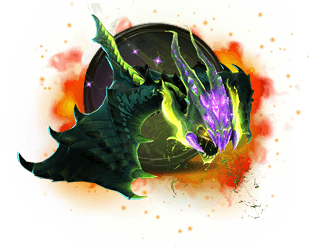 Apply it to slow the speed of enemy units and their attack as well as deal poisonous damage during a certain period of time and devastate them with a powerful attack after that. Develop your skills for several levels and obtain the following items to feel how great it is to win every new battle. Get Manta Style to increase all of your attributes and creation of 2 Viper illusions. Dragon Lance will allow Viper not only to increase the attack speed and the amount of damage applied but also extend the distance of the attack, while Shadow Blade will make you invisible in the most dangerous situations. Whether you start a game or want to go through late stages of Dota 2, Phantom Assassin can be a decent assistant. Its skill Stifling Dragon is extremely useful in fights, especially if it is upgraded. Throwing a dagger, it deals physical damage to enemies as well as makes them twice slower. Get rid of enemies with low health faster: upgrading will increase the cast range and the amount of damage during attacks. Phantom Strike will not only teleport a hero closer to the enemy or further from it but also provide him with an attack speed bonus after 4 attacks performed. Being a passive ability, Blur significance should not be underestimated as you can evade attacks of enemies at the certain distance or hide from them if you are not powerful enough to fight. 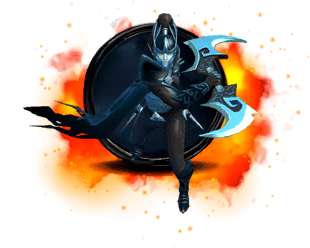 With Coup de Grace, Phantom Assassin deals an increased critical damage up to 450% and normal attack by more than a half. 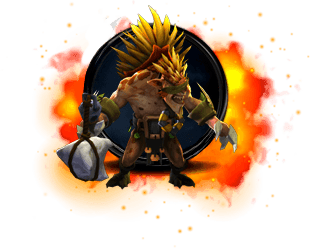 It is necessary to obtain such items for fights as Desolator to weaken your enemies before an attack and Monkey King Bar to get a 160 bonus damage, while Battle Fury will help you to farm more effectively and get more coins for a shorter period of time. 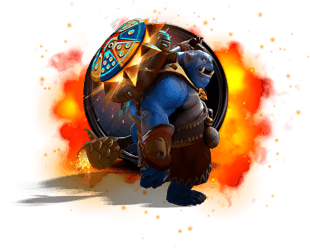 The main reason to choose Ogre Magi to start your adventure in Dota 2 is his huge health pool. Its main skill Fireblast allows dealing a great amount of damage due to the fire wave blasted. Moreover, it helps to stun the target to act actively at the beginning of the fight. You can also get Unrefined Fireblast skill if you obtain Aghanim’s Scepter to double damage you can deal. Another way to deal damage and make enemies move slower is Ignite skill. It is achieved thanks to the drenching chemicals that burst into flames. However, if you need to move and attack faster, use your mana and Bloodlust skill - it will make your team unchaseable. But the skill that must be upgraded undoubtedly is Multicast. A hero gets a chance to cast spells several times and become so powerful when fully leveled up that it is enough to attack enemies only once to bury them. Don’t forget to mark Ogre Magi much more powerful buying several more items. You can boost mana for more spells obtaining Arcane Boots, increase your team’s HP with Mekansm or regenerate your health and grow intelligence using Force Staff. If you look for a wonderful support character, Luna is an excellent choice. Her great skill Lucent Beam can easily prevent enemies from organizing farms in your area. When you activate it, in a second an enemy is stunned with a cast getting much damage, but you should analyze where he will be in a second to hit the bull’s eye. One more powerful weapon is Moon Glaive boomerang blade that deals damage to multiple enemies in group fights and weakens them. However, with every new bounce, there is less damage dealt, so don’t forget to upgrade it to the maximum that offers 6 consecutive bounces. Lunar Blessing is useful for increasing the attack damage bonus as well as widen the radius of night vision. One more ultimate skill is Eclipse. It allows Luna to strike beams from above. Casting takes about 0.6 seconds and she can shoot 11 beams to kill the enemy. In addition to impressive skills, you can buy several great items to make Luna much more powerful. 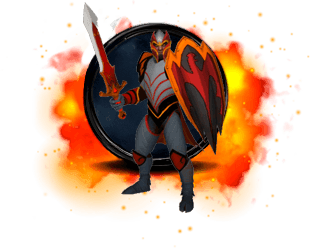 Ring of Aquila increases Agility, Strength, Intelligence, and Damage as well as the mana regeneration and armour of allies. Aghanim’s Scepter is a necessity for a hero as it provides her with 200 HP points and 150 Mana over one possessed by her at the moment as well as increases the effectiveness of Eclipse. Whether you need a reliable support hero or a powerful front fighter, Crystal Maiden is suitable for both these roles. Her versatility is excellent for beginners and more experienced players as well. Her skill Crystal Nova will slow down enemies and their attack with a burst of frost to kill them if they are weak already. 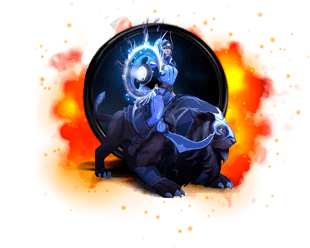 Frostbite will stop an opponent for some time and he loses an opportunity to move and attack, while Arcane Aura will restore mana to every friendly unit of the team. The most effective skill during fights is Freezing Field. It creates explosions of ice around the hero and they slow down the opponents approaching as well as damage them severely. This skill has a quite wind range and durability to get rid of a huge team of enemies within one fight. However, it is possible to make Crystal Maiden a much more serious rival for opponents providing her with several useful items. Tranquil Boots can take you out of the fight if you low on HP, while Eul’s Scepter of Divinity will restore your mana and add speed in movement. You can also obtain Glimmer Cape to become invisible and Black King Bar will make it impossible for the enemies to stun you out from Freezing Field. Of course, it is not preferable for new players to jungle but if you want to try jungling, choose a strong and effective fighter such as Axe. His skill Berserker’s Call will force opponents to attack the hero while the members of your team will be able to deal a huge damage to them. Battle Hunger makes enemies get slow and take damage over time, while Counter Helix will empower a hero to counter attack opponent units dealing a huge amount of damage to them. Another great skill of Axe is Culling Blade that makes an enemy unit weak and instantly fires it either killing or dealing damage to it. If you want to make Axe unbeatable, get several useful items for him and be ready to win. You can boost his strength with Power Treads, improve armour and damage with Blade Mail and enhance UP and mana regeneration with Vanguard. 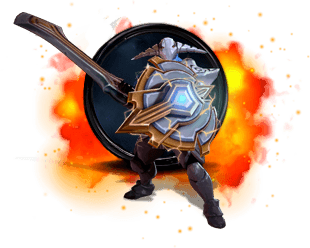 Such item as Blink Dagger will let you blink in the center of every fight while Assault Cuirass is excellent for gaining more armour and attack speed. One more great support hero is Omniknight. His skills make it a wonderful fighter as well as offer support to allies. Purification is a skill that allows healing your team members as well as deal minor pure damage to opponents. Repel is a unique skill that will help to Porte your team members as you can protect any moving target by 100% using it. The highest level of protection can be obtained using Guardian Angel skill. You get absolutely immune to physical damage, while Degen Aura will help the hero to slow down and weaken enemies who try to get closer. Providing Omniknight with Guardian Greaves, you boost his strength, agility, intelligence and armour, make him faster and provide with additional mana. It is a necessity to obtain Refresher Orb capable of resetting cooldowns of all abilities and items. Getting Lotus Orb you can activate an Echo Shell buff to re-cast all the spells back to their casters. Choose Tidehunter if you can not imagine yourself in the support role but want to show your fighting skills in the ultimate battles. Never let your enemies lower your health level with Kraken Shell. With this thick armour shell, none of the spells can harm you. Anchor Smash does not allow your opponents to damage the hero severely and provides you with an opportunity to hurt them as well. 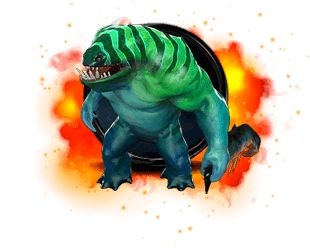 One of the most powerful skills of Tidehunter is Ravage that slams the ground and causes multiple tentacles to appear. They damage and stun all the opponents located in the area. Gush skill will let you slow down all the enemies that try to evade your attack. Don’t forget to make Tidehunter a thunderstorm for enemies getting a couple of user items. Pipe of Insight provides nearby allies with a shield and additional HP regeneration. Force Staff will help you to cover a distance with obstacles quickly, while Shivas Guard can cripple the entire enemy team to increase your chances of winning. Do you like danger and want to combat rivals from the ever beginning of the game? Try a tank hero that will undoubtedly teach you to use multiple tricks during severe battles. Bristleback features such savage skills as Viscous Nasal Goo to cover an enemy in snot and reduce its armour and moving speed, Quill Spray to strike enemies with harsh quills and deal damage to them, Bristleback to cover his back in spines and reduce damage taken and Warpath to evoke fury and boost movement speed and attack damage. Another way to make Bristleback a more effective fighter and support hero is to buy several items. Crimson Guard, for example, will help the entire team to endure severe battles longer. Heart of Tarrasque offers a massive health regeneration and strength. And Octarine Core reduces all cooldowns of spells and restores health caused by their impact. Suitable both for a carry or tank role Dragon Knight can help you to experience both these directions at the initial stage. This hero has got a simple but quite effective set of skills. Breathe Fire does exactly what is meant by the title - it unleashes a breath of fire at the enemies dealing damage to them. Dragon Tail allows the hero to smite an opponent unit in melee range using his shield. Dragon Blood restores health and strengthens armour. The last skill is called Elder Dragon Form and has three levels adding one new ability to his power. Smash your enemy units being a powerful adult Dragon with several great skills. Get a couple of items for your Dragon Knight too! Daedalus offers a bonus damage critical strike. Silver Edge allows you to hide from others and become invisible for 22 seconds. Moreover, your movement gets faster and you can pass through different obstacles and deal more damage to enemies. 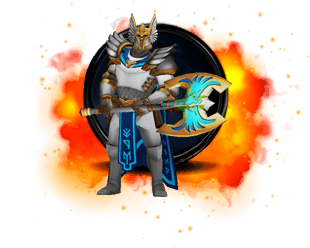 Don’t forget Assault Cuirass to provide all your allies with armor and attack speed aura and apply negative aura to enemies as well.